I'm trying to write a story where the main characters discover the wreckage of a spaceship in the fields that border their town to the west. To the east, there's the end of a large mountain range. Basically, the town's built into the side of the mountain. Does a mountain range have to be preceeded by foothills, or can a mountain range transition quickly into a relatively flat landscape? And if so, where on Earth has this happened? Just as volcanic islands are specks of land in a great ocean of blue, solitary volcanoes on land can be equally spectacular. 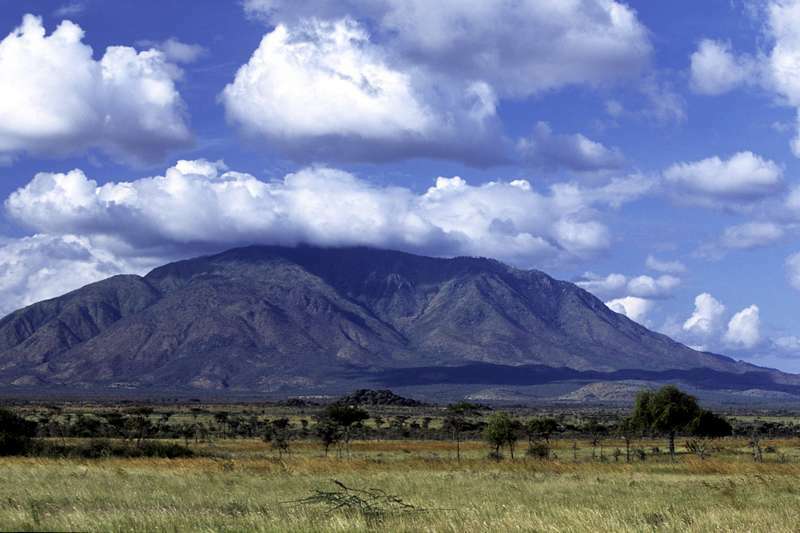 Mount Kilomanjaro is more famous, but perhaps the most cleanly isolated massif in Africa is Mount Elgon on the border of Uganda and Kenya, which rises almost a mile and a half above the surrounding plain. 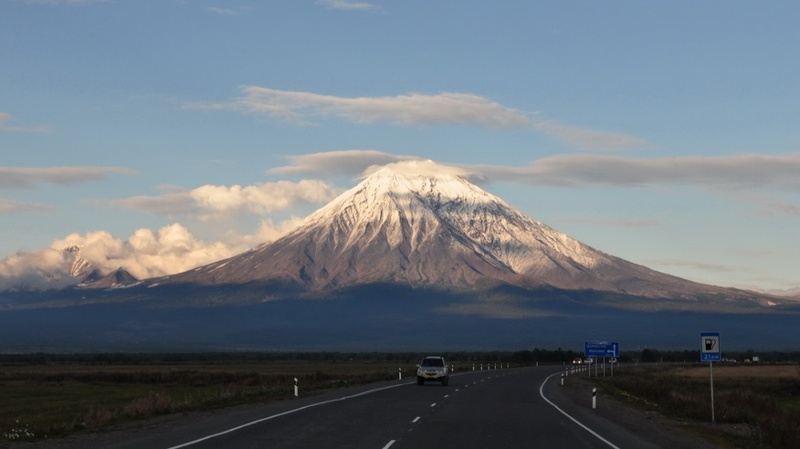 However, the all time world champ cinder cone, a near-perfectly conical mountain, is Koryaksky in Kamchatka. It is 1000 meters shorter than Elgon, but it rises even higher, over 3000 meters above the surrounding plain. Brașov, in Romania (the link goes to a satellite view on Google Maps), is an example; the city is placed at the south-eastern end of a high plain, nestled against the Carpatian mountains and partly climbing on the slopes. The transition is quite sudden -- to the north the terrain is very flat, to the south it's alpine. 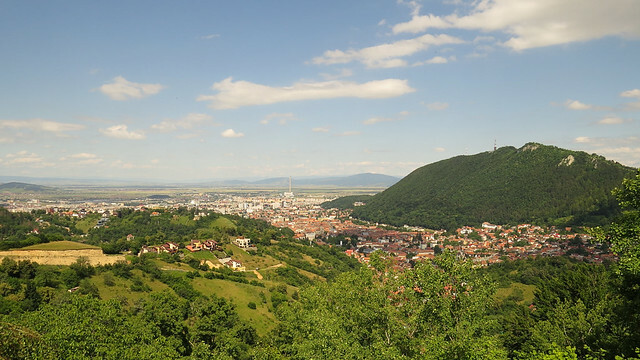 A view of Brașov, looking northward towards the high plain of Burzenland from one of the panorama points on the road which climbs to Poiana Brașov. The green mountain on the right is the Tâmpa. Own work, available on Flickr under the CC BY 2.0 license. Mount Ararat and the Araratian plain, seen early morning from near the city of Artashat in Armenia. Photograph by Serouj Ourishian, available on Wikimedia under the CC BY-SA 4.0 license. Pikes Peak near Colorado Springs, Colorado is another example. 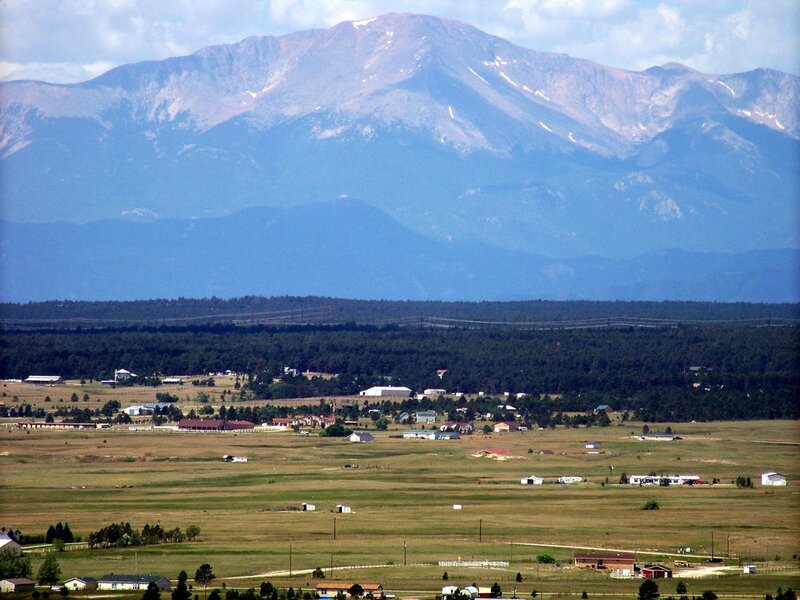 The picture of Pikes Peak actually shows the "foothills". They begin just a few miles east of Pikes Peak, and are fairly high themselves. So, even a foothill transition can be pretty dramatic. That bit of the Rockies is also a good example of a "wall" across the plains. It runs from down New Mexico-way to north of Denver before abruptly turning westward. Otherwise, volcanoes are your best bet for abrupt "hey, where did that thing come from?" mountains. Lastly, Mount Spokane, in eastern Washington state is another that abruptly rises out of a high altitude desert. Look at Boulder, Colorado. Unlike Colorado Springs (the town by Pikes Peak), it's really built up against the sheer rocky mountain wall to the West. There is a bit of a foothill ridge that marks the Eastern side of the town that really gives it the feel that I think you describing for the town of feeling built into the mountain, but then just beyond the boundaries of that ridge is empty flat lands for miles. It would mean inverting East and West, but otherwise gives you a really good real world example of what you're talking about. Another location on Earth where plains meet mountains happens under the ocean near just about every continental shelf.